While marketers may initially witness success from first-time investments in personalization, things can get a little trickier when attempting to scale these efforts. This collection of articles and interviews (including one with Dynamic Yield CEO, Liad Agmon) from McKinsey & Company shines a light on the complexities of personalization and what it takes to drive growth using advanced tech, people, and processes. 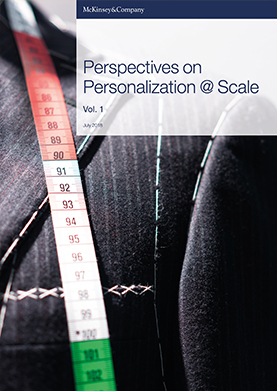 Download this free guide and start driving growth for your business with personalization.